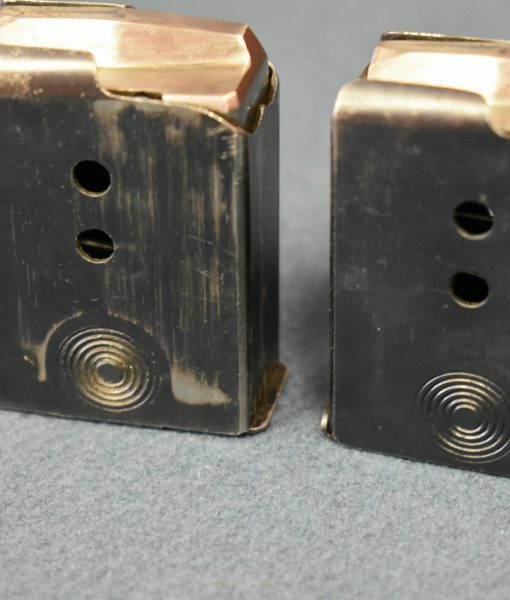 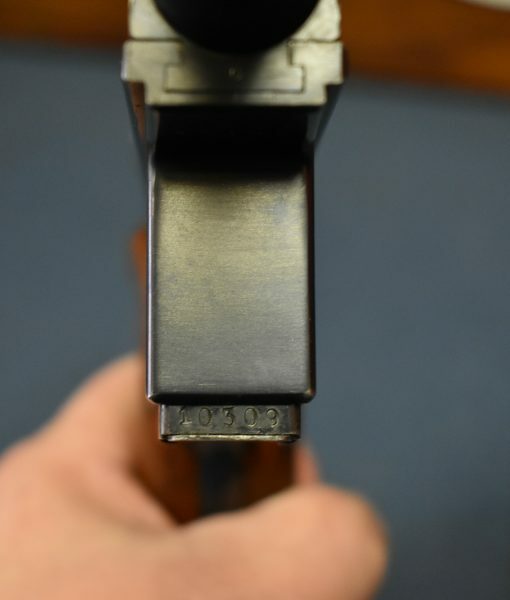 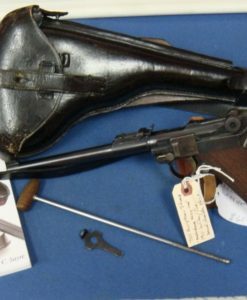 sold – SCARCE & EXCEPTIONAL DANISH M1910/21 BERGMANN-BAYARD PISTOL…FULL 2 MATCHING MAG RIG!…..THE ULTIMATE M1910/21!!! 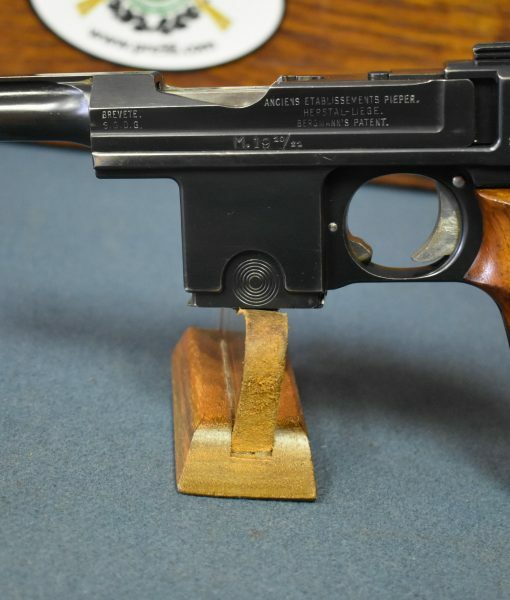 As far as collecting goes, I would have to consider this to be one of the finest if not the finest complete example of this pistol in the U.S. 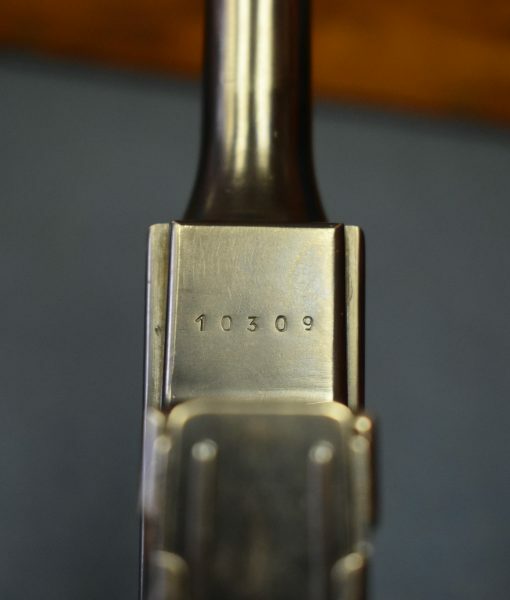 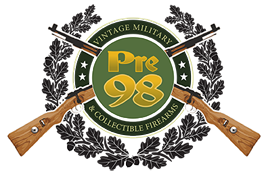 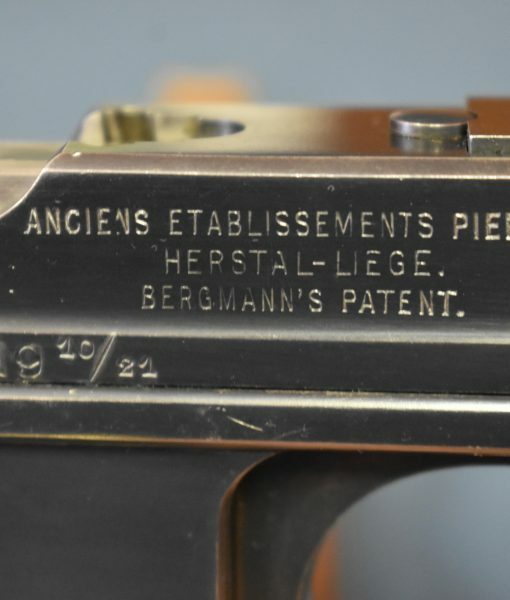 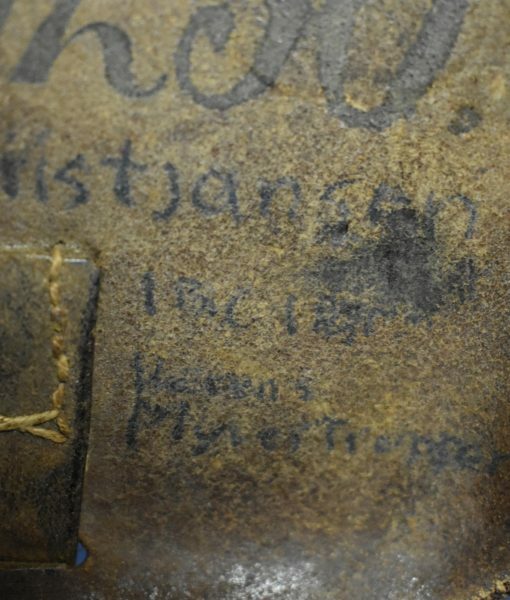 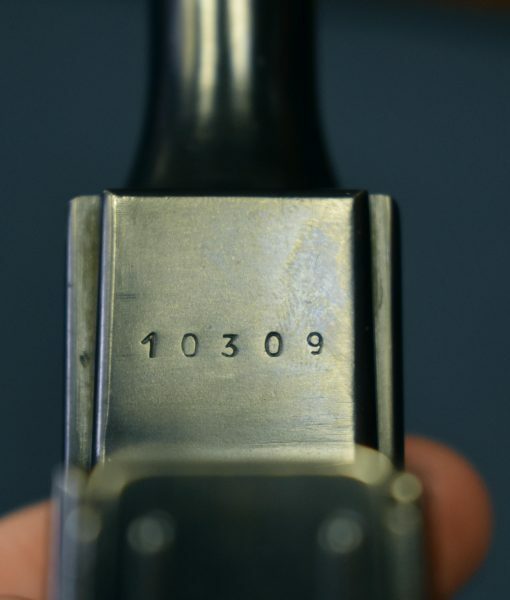 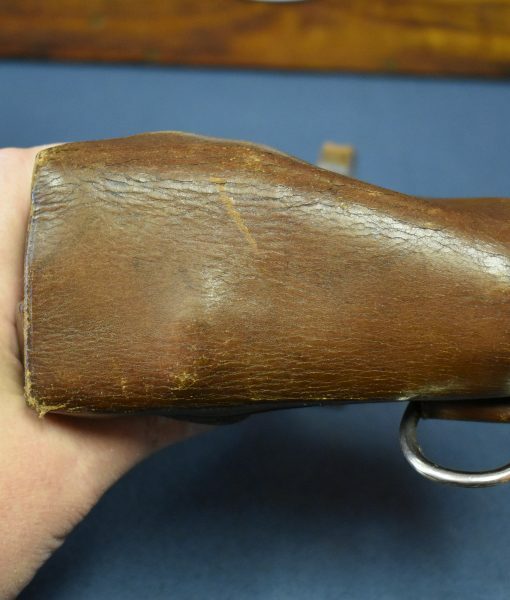 In 98% condition, we have a Danish Military Issue M1910/21 Bergmann-Bayard Pistol. 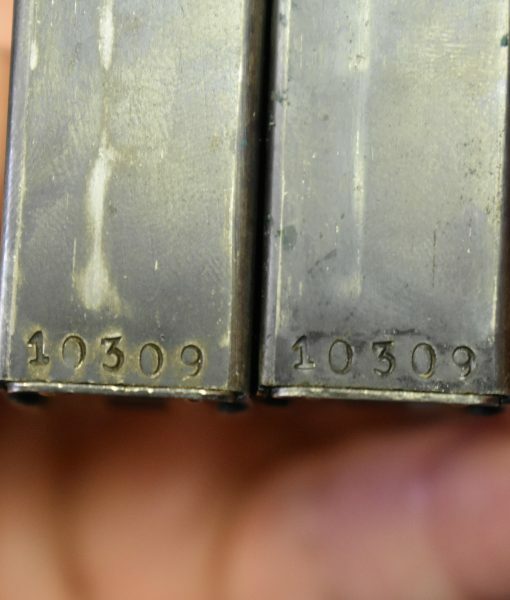 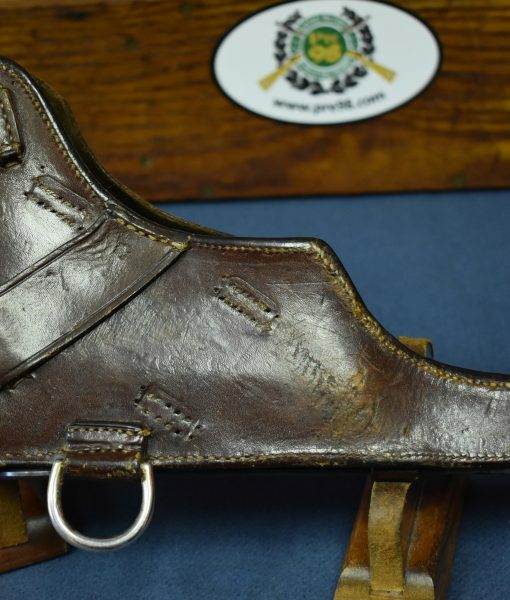 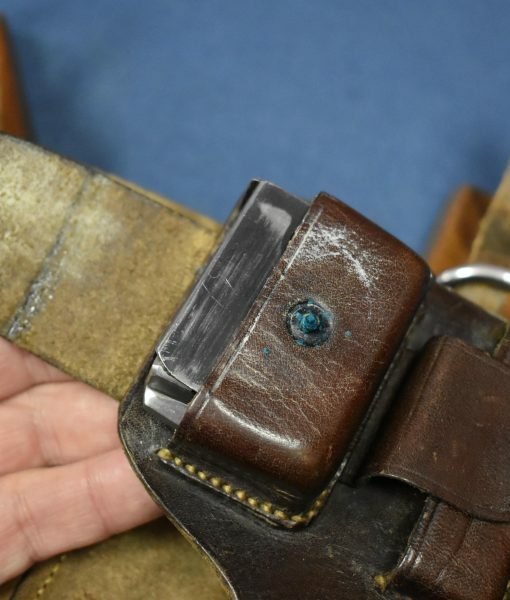 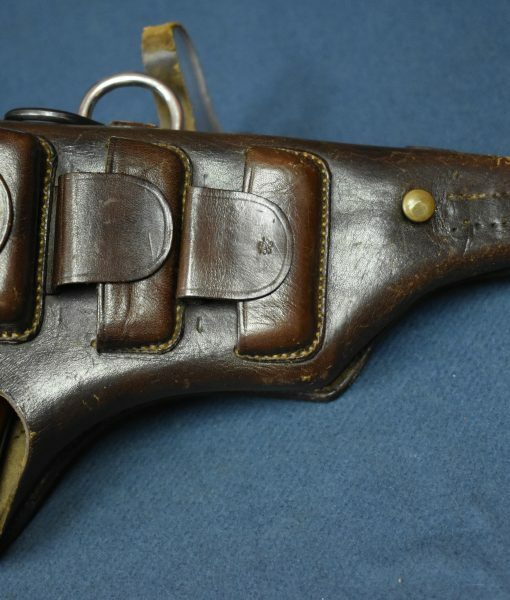 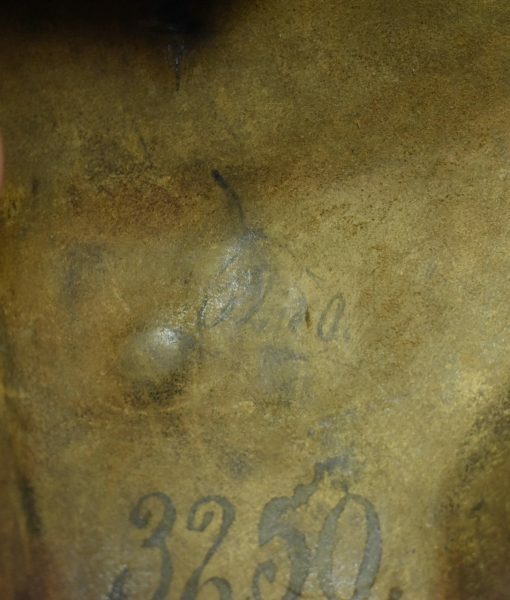 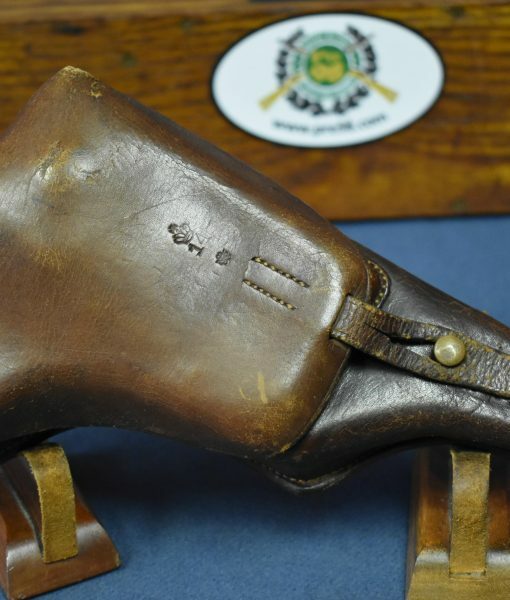 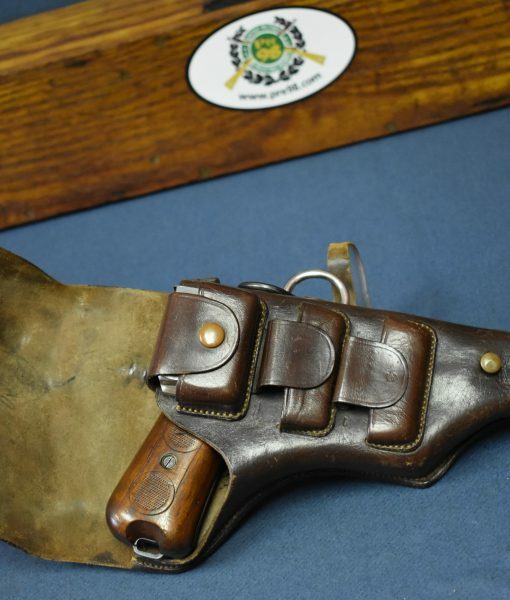 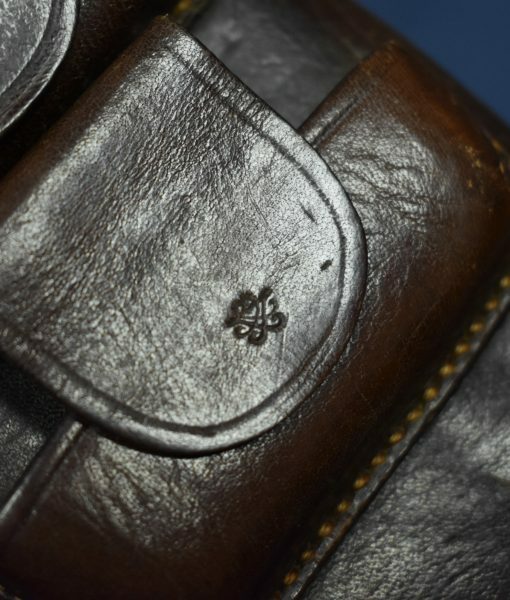 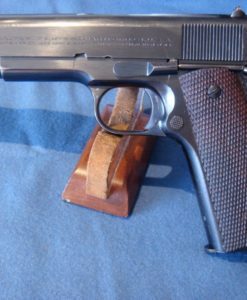 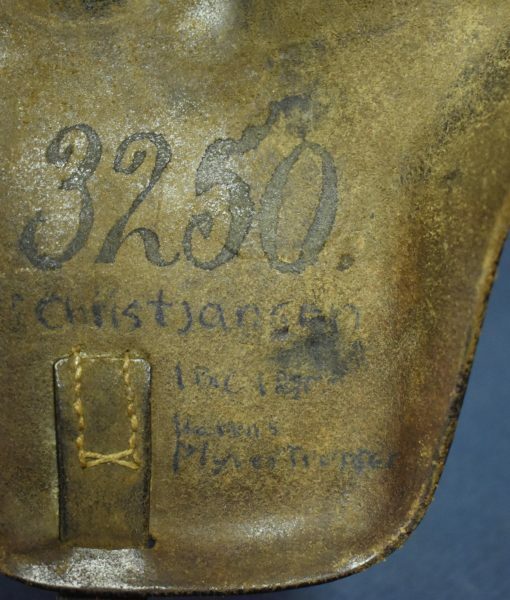 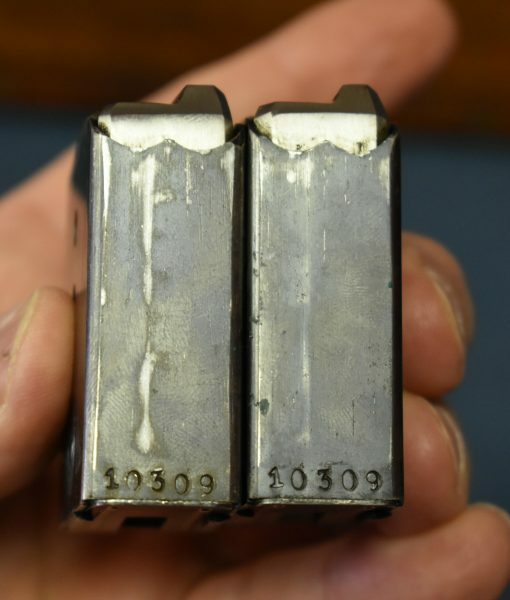 The pistol is still with Both Factory Matching Numbered Magazines and an extremely scarce 1914 dated holster. 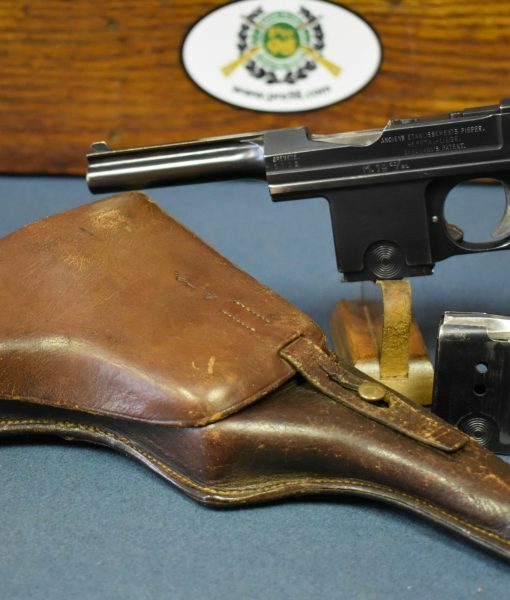 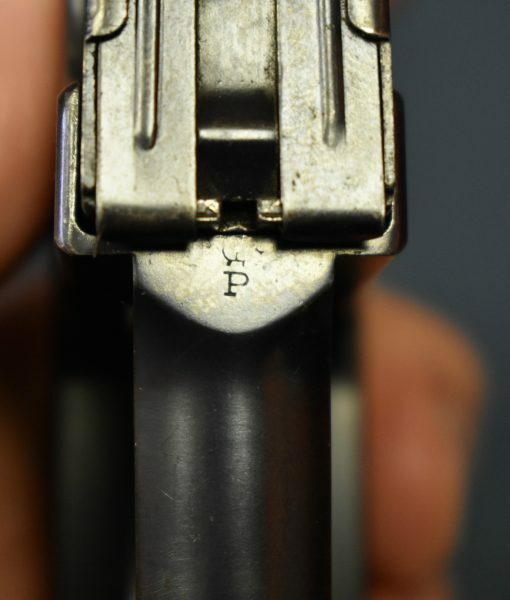 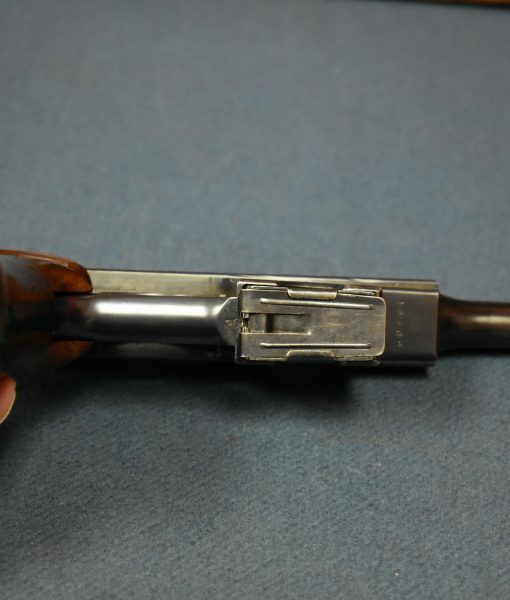 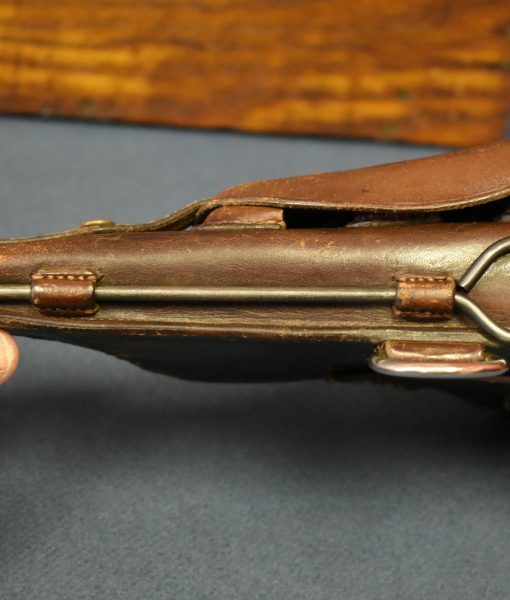 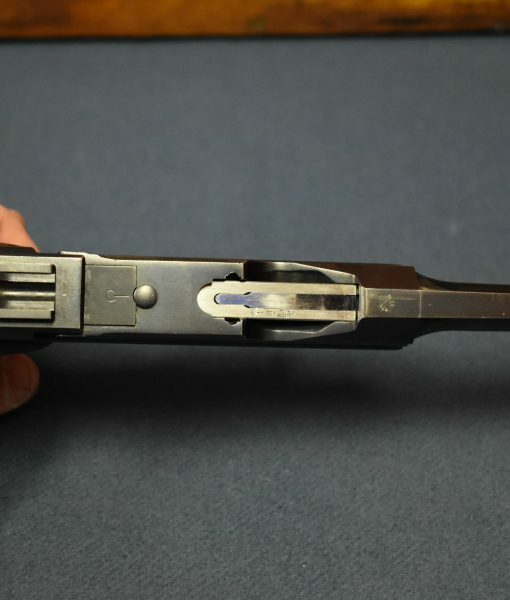 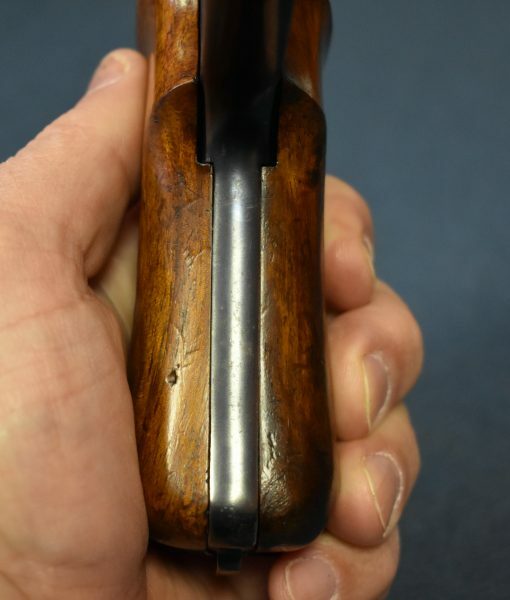 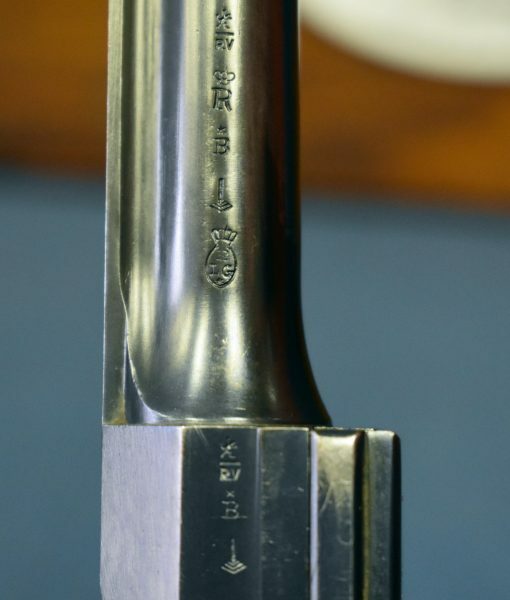 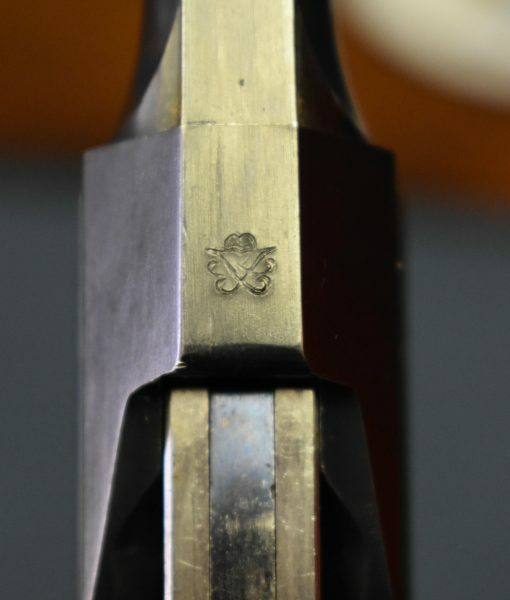 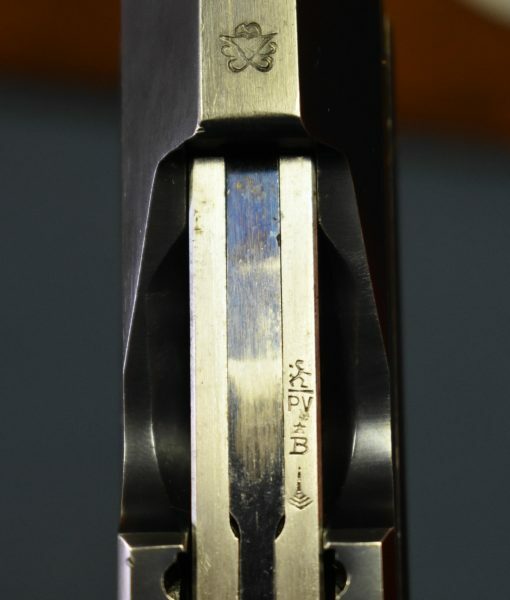 Its extremely difficult to an example of this pistol with one matching magazine let alone two. 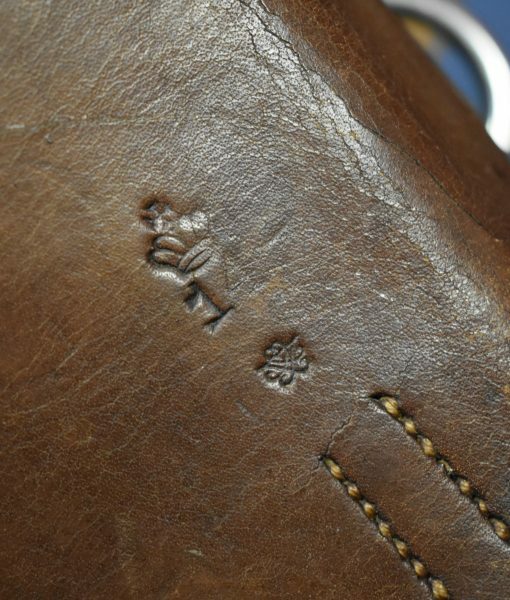 Indeed this is the only one that I am aware of that is this intact. 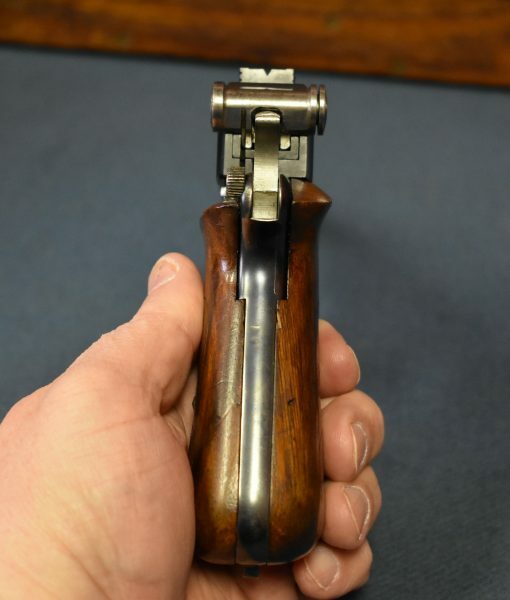 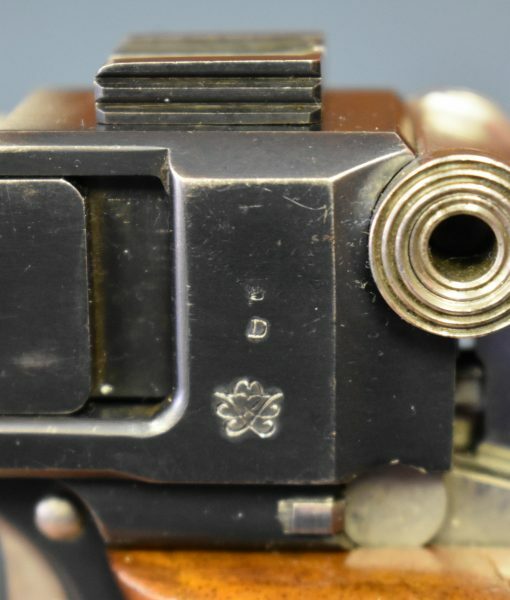 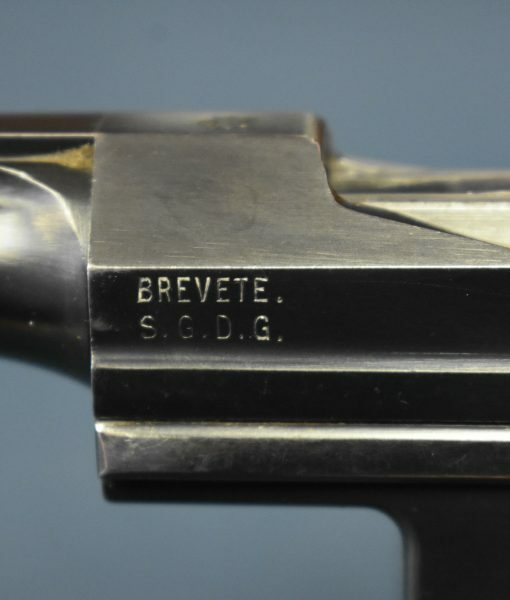 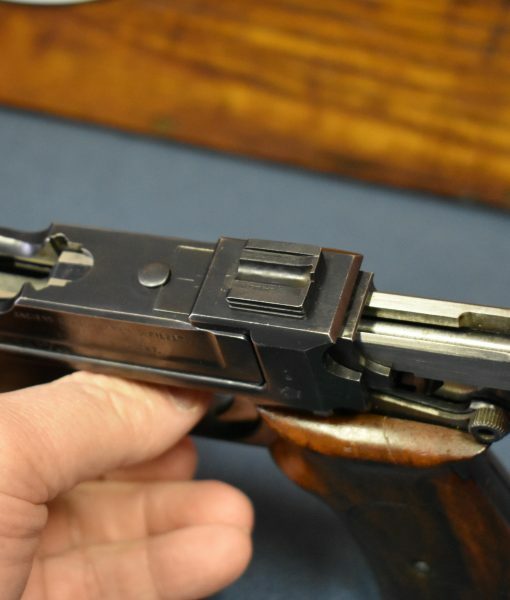 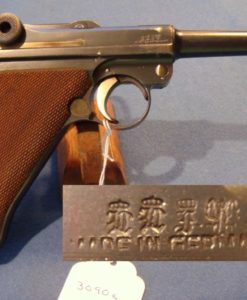 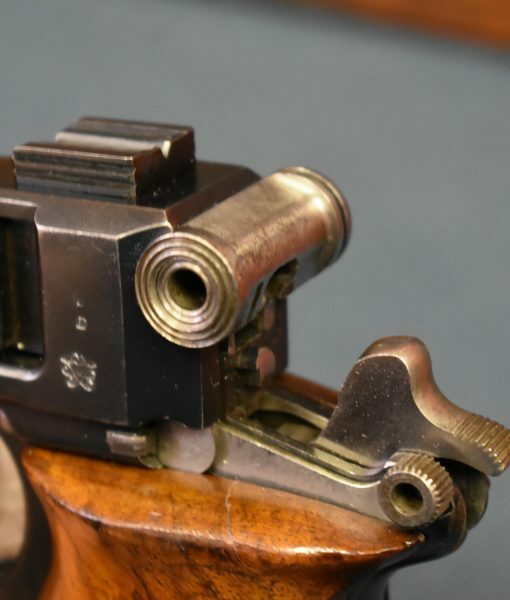 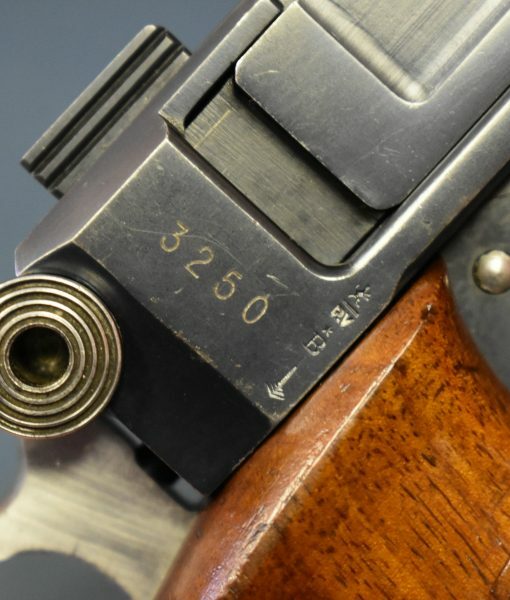 The M1908-10 series of Bergmann-Bayard Pistols were the sidearm of the Danish armed forces from 1908-1946 and it was a well made and powerful weapon at the time. 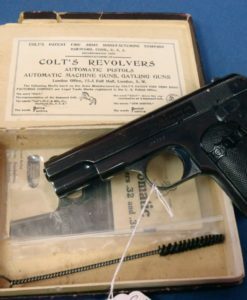 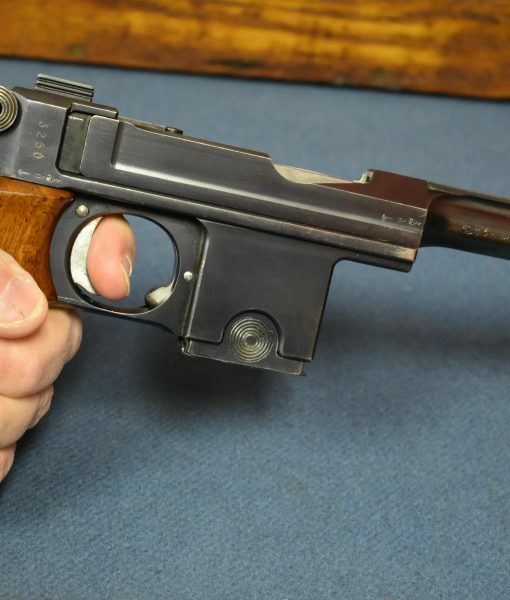 When the Germans rolled into Denmark in 1940 most of these sidearms were surrendered to the Germans and most were reissued to occupying German forces especially the Luftwaffe who issued these pistols to nco’s. 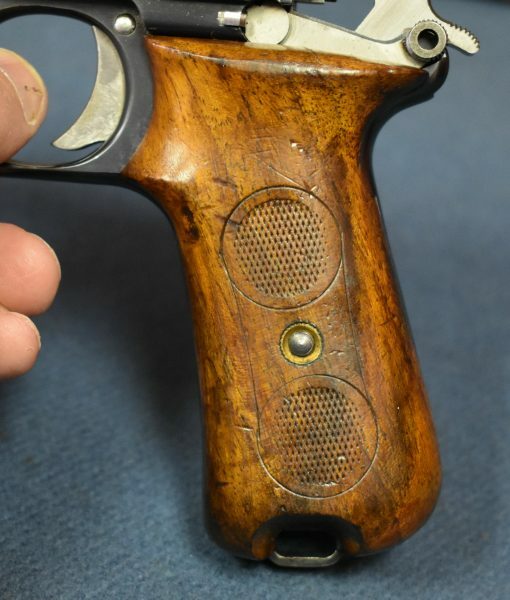 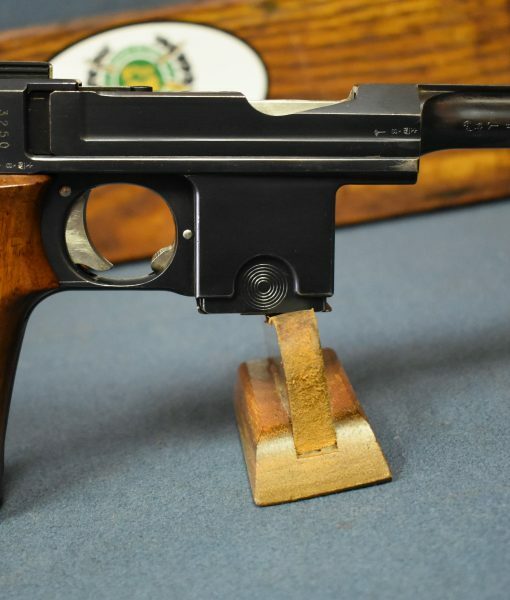 Any serious collection of WW2 era handguns cannot be complete without this Danish pistol and this is probably the top example extant.